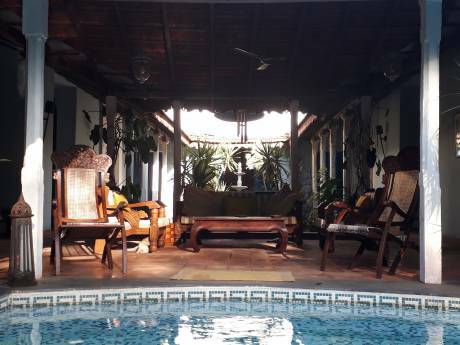 Large self contained villa in a peaceful locality yet , close to famous beaches like Baga and Calangute in Goa .There is a wonderful choice of restaurants like Brittos, J&A's Italian, Fiesta and Lila's (for a laid back brunch!!) and Baba Aurom ( for great coffee and home made ice-creams). Many restaurants and shopping areas nearby- within 5 mins drive by taxi. It is only a few minutes walk from the world famous Ingo's and Mackie's Saturday night market, known for shopping curios, varieties of food stalls and music. Some of the most beautiful un-spoilt beaches like Aswem, Mandrem and Morjim are a short drive from here. 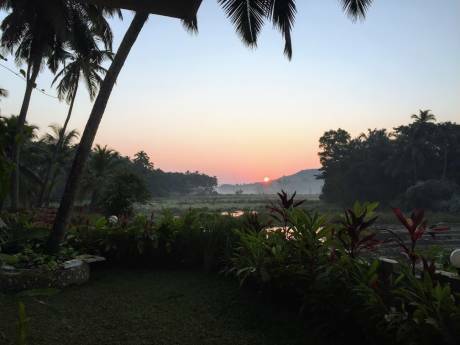 The world famous UNESCO heritage sites of old Goa, are only 30 minutes drive from here. The villa is in a small residential complex which is well maintained with landscaped gardens. Both the bedrooms are air-conditioned and have beautiful large bay windows which bring the outdoors in. The shared pool is literally at the doorstep of the apartment. 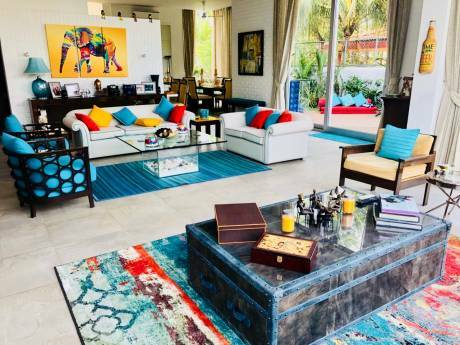 The lounge area is equipped with cable TV with football, sports and all other channels and is a great place for relaxing, with lovely books provided in the apartment. The kitchen is fully equipped for all your needs.